With the announcement of a new 420,000 square foot building in the southeast part of the city, Memphis will see its first speculative distribution facility in more than a decade. 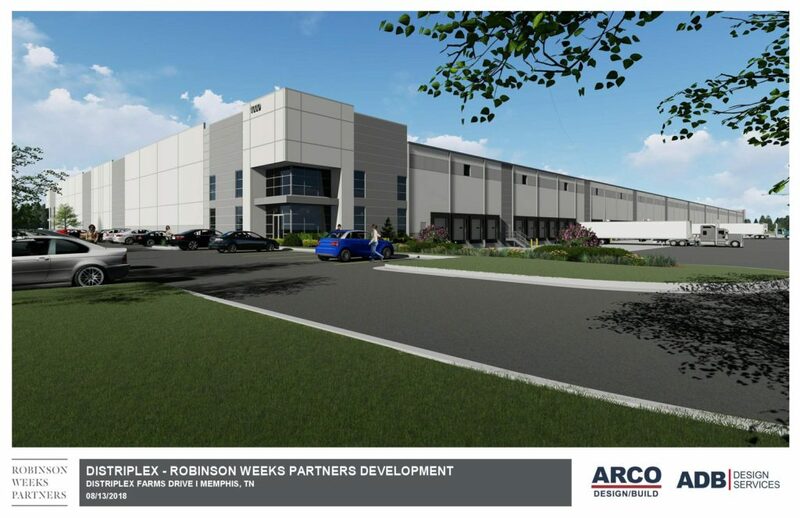 Robinson Weeks Partners, an Atlanta-based real estate development and acquisition company, announced today that construction will begin in September 2018 on the Memphis Global Crossing. Located within the Distriplex Farms master planned development, the site will be 2.5 miles from the BNSF Intermodal Facility, eight miles from the FedEx Hub at Memphis International Airport and two miles from Highway 78 (Lamar Avenue), according to a release by the company. Speculative space, or “spec space” refers to any tenant space that has not been leased before the start of construction on a new building. This brand new distribution facility will be able to accommodate companies seeking the most current features to support modern e-commerce, an industry that has changed significantly since the last facility of this kind was built locally in 2007. Features of the building include 32’ clear height with cross dock loading and 185’ truck courts. To accommodate regional and national distributors as well as e-commerce fulfillment users, the building will have 124 trailer parking spaces, 204 auto parks and 127 dock doors. Cushman Wakefield | Commercial Advisors, LLC is handling the leasing of this project, ARCO Design/Build is the general contractor, and The Reaves Firm will provide civil engineering services. Click here to learn more about this project from the Memphis Business Journal.